The Atlantic Arc Commission (AAC) working groups will meet before the end of the year to implement the strategy defined by the new Presidency in June. In his work programme for 2016-2018, Bruno Retailleau, the new President of the Atlantic Arc Commission and President of the Pays de la Loire Region, recalled the prominent role of the activities of the Atlantic Arc Commission Working Groups, especially in view of the mid-term review of the multiannual financial framework (MFF) and the revision of EU policies. As a result, priority will be given to the development of projects and setting out clear plans for concrete action. In order to launch this process and pave the way for the next two years, Atlantic Arc Commission meetings are currently being organised. 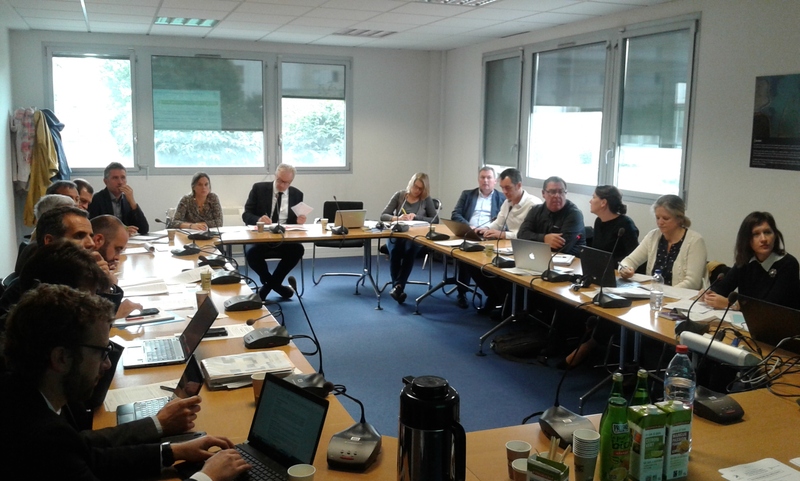 The Atlantic Arc Commission Fisheries and Aquaculture working group was the first to meet on 7 October in Nantes, at the initiative of Christophe Priou, Regional Councillor of the Pays de la Loire Region and Chair of this group. Christophe Priou presented the group’s action plan for 2016-2017 to the members and stakeholders. Other important topics were discussed, including the consequences of BREXIT on the fisheries sector, the necessity to establish multiannual total allowable catches (TACs) and quotas, the future of the Common Fisheries Policy (CFP), and the post-2020 European Maritime and Fisheries Fund (EMFF). The Innovation working group, chaired by the Nouvelle Aquitaine Region, met on 3 November, during the CPMR General Assembly in the Azores. During this meeting, Laurence Harribey, Regional Councillor of the Nouvelle Aquitaine Region and Chair of this group, explained that the group is currently focusing on blue biotechnologies and aims at developing projects to foster this sector in the Atlantic area. Members discussed other priorities for the group, such as land-sea interaction, coastal monitoring and the preservation of the marine and coastal environment. They also explored the possibility of creating a task force dedicated to these topics within the Innovation working group. The Atlantic Strategy working group, whose purpose is to follow up the implementation of the Atlantic Strategy, will be meeting on 28 November in Brussels. Participants will discuss the upcoming mid-term review of the Action Plan as well as the role of European Structural and Investment Funds (ESI funds) in the implementation of the Strategy. It will pave the way for the future lobbying actions of the Atlantic Arc Commission as regards the Atlantic Strategy. The Marine Renewable Energy working group, which is chaired by the Brittany Region, will meet on 1 December in Brussels, during the meeting of the CPMR Maritime Industries working group. Members plan to discuss their involvement in the Technology and Innovation Platform for ocean energy (ETIP Ocean), coordinated by Ocean Energy Europe, and the Atlantic Arc Commission’s participation in EU projects related to marine renewable energies. Finally, the Transport working group, which is chaired by the Cantabria Region, will meet on 8 December in Brussels. Discussions will mainly focus on the preparation of lobbying actions ahead of the revision of the Trans-European Transport Networks (TEN-T) regulation as well as on the Connecting Europe Facility (CEF) calls to reinforce the Atlantic TEN-T Corridor.